What kinds of work does Shakespeare do in our millennial era? 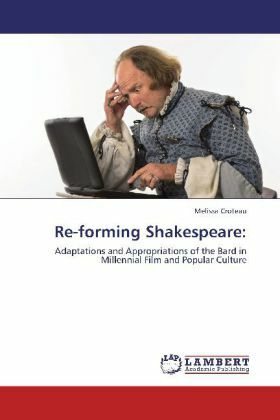 This volume takes a cultural studies approach to the analysis and evaluation of three millennial film adaptations and three cinematic offshoots of some of Shakespeare's most (in)famous plays The Taming of the Shrew, King Lear, Hamlet, and Richard III while investigating the significance of these films key intertexts in various media. The three adaptations examined 10 Things I Hate About You (1999), A Thousand Acres (1997), and Michael Almereyda s Hamlet (2000) and the three offshoots Renaissance Man (1994), A Midwinter s Tale (1995), and Al Pacino s Looking for Richard (1996) appropriate the Bard s canonical texts in creative and complex ways, adapting and employing Shakespeare s work to communicate particular agendas. In addition to interrogating the ideological objectives of these works, this book explores their contexts within the realms of film studies, Shakespeare performance, contemporary history, critical theory, and popular culture.